Ever feel down and out and need a little pick-me-up? 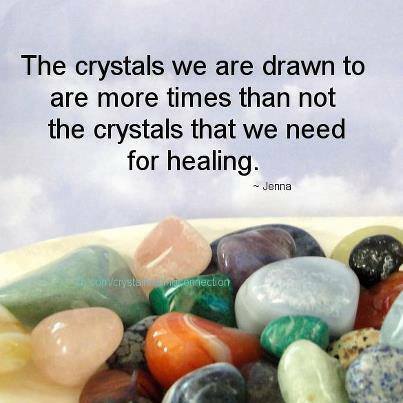 Here are some of my favorite top 10 stones and crystals which have natural healing abilities to help brighten your day. Today’s world is full of stress and bad news. Everywhere you look, someone is posting an angry rant, arguing over politics, or hyping the latest tragedy to strike. All of this can be very detrimental to your health in a number of ways. Some studies have pointed to the mental health effects that can come from using social media. We’re further inundated with the bad news, or feel less than because we’re seeing so many pictures of our friends ‘perfect’ lives. Here are some ways to keep the #positivevibes going and make your time online much more enjoyable. This is both a way to connect with the energy of the moon, as well as to support weight loss and cleansing. A quick google search will give you a more detailed description of what’s involved, but basically it comes down to a fast that begins with the new moon and last twenty-four hours. During this period, one only ingests water, pure fruit juices (it’s best to juice your own), and vegetable juices. No sugar, fats (like with milk), or things like coffee allowed! Remember when we were kids, and adults would tell us we can’t always get what we want? Well, I’m sure that they would be shocked to know, that is in fact, not always the truth. The law of attraction is the belief that by focusing and manifestation, you are able to attract almost anything and everything you “want” into your life. Whether that be positive or negative, that is up to you. The universe and even our selves are made up of pure energy.